Recent data has shown that England is, on average, slower than Germany, France, Spain and Italy in making orphan medicinal products available to patients. Joe Wiley, CEO of Amryt Pharma, discusses the need to ensure faster access to treatments for people with rare diseases. All diseases are unfair, but rare diseases are the most unfair of them all. As a 2016 report showed, for rare diseases, not only is diagnosis more lengthy but patients may need to see up to eight doctors before a diagnosis is made. However, even when a diagnosis is available, it is still unlikely that a treatment is available. 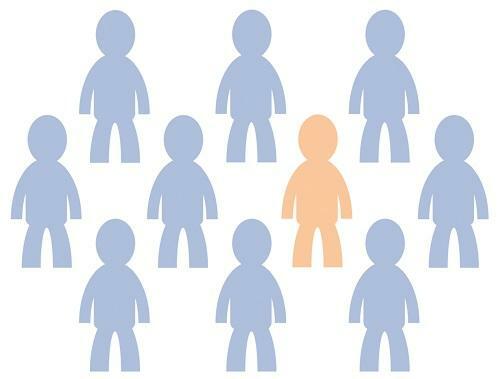 Approximately 3.5 million people in the UK are affected by a rare disease with some 75% affecting children. Unfortunately, of the estimated 7,000 plus known rare diseases, only a little more than 500 drugs are approved for these. Many of these diseases are inherited and as such patients have little choice but to live with the ‘hand they are dealt’. Even when a medicine is potentially available, the situation does not necessarily improve because the path to access can be tortuous. The reimbursement teams assessing the value of new therapies are likely to have limited expertise around the disease in question; rare diseases are by definition rare and, therefore, experience with these diseases is often limited. In addition, given the small numbers of patients affected, often the amount of clinical data that can be produced for such evaluations can be limited compared to technologies for common conditions. Finally, the per capita costs of such medicines to ensure they are economically viable to research and bring to market can be unpalatable to some governments, and so they do not neatly fit into the standard value assessment processes. In the UK, recent data shows that the average time to reimbursement is significantly slower compared to other European countries. This causes inequitable access for patients with rare diseases across the European Union or region. Despite the publication of the UK Strategy for Rare Diseases in 2012, the UK system of reimbursement remains fragmented with stakeholders complaining of a lack of transparency and an over-emphasis on cost per patient, with too little emphasis on wider considerations of value and longer term benefits. This can be due to a lack of available data for the patient population regarding the epidemiology, natural history of disease and the clinical impact a treatment may have. This lack of data also limits the ability to develop robust economic models that provide payers with the certainty they are seeking when making reimbursement decisions. These are all key issues that need addressing and quickly. We need to work in partnership with all parties to ensure there is a collective system that provides equitable access across Europe, regardless of patient or disease type. This is a founding principle of social healthcare systems, but particularly hard to achieve in rare diseases, without a concerted effort from all involved. Whilst we recognise the ambition has been to create systems that enable timely access to medicines, we do have legitimate concerns that we are still seeing high hurdles and long delays in decision making in the rare disease space. Importantly, systems that assess these medicines need to recognise the very high unmet medical need and the urgency for access, given the lack of alternative treatment options. Patients with common diseases may have a number of treatment options available, whereas for rare diseases there may be no alternative therapeutic options available. In addition, systems need to address the relative paucity of clinical data that often exists with rare diseases. Given the very small number of patients that can be affected with these diseases, there is often limited clinical data and limited, or indeed no, pharmaco-economic data available for assessment. There needs to be greater flexibility in using all available data sources, including the use of real world data to ensure that patients with rare diseases have the same opportunity of gaining access to treatments as those with common diseases. For example, systems that grant early access to patients, through early access programmes, can also be used to generate further data to support regulatory and reimbursement decision making. It remains to be seen how evolving systems for appraising medicines in the rare disease space will work in practice and whether they will deliver on making timely, flexible decisions to provide access to innovative medicines for those living with rare diseases. Ultimately, we need to continue to encourage pharmaceutical companies to invest in R&D in rare diseases but without fair, timely reimbursement, we are in danger of stifling innovation and leaving these patients further behind. At Amryt Pharma we strive to deliver transformative medicines to people affected by rare, debilitating conditions, providing hope for those with the greatest need. We understand the challenges and recognise that this is a two-way street. As a company, our [modus operandi] is to talk about solutions rather than problems and work with stakeholders to do the right thing for patients. Our strategy is to create an organisation that specialises in the seamless transition between the scientific and the commercial. Our mission is to function as a commercial-stage pharmaceutical company that invests its portfolio of rare and orphan products through partnerships and acquisitions, rather than focusing on early-stage R&D. This is our strength and we believe, through our knowledge and relationships, that we can facilitate the process of getting treatments to the right patients at the right time and navigate the complexities involved. In the end, long-term sustainable access to these medicines is key, otherwise the research effort can be in vain. One rare disease we are focused on in late stage development is a wound care treatment for Epidermolysis Bullosa (EB), an ultra-rare, intensely painful, incurable genetic condition of the epithelial tissues, primarily the skin. It is estimated that there are more than 500,000 people living with EB worldwide, including 5,000 people in the UK and, of these, approximately 2,000 particularly severe cases are managed through highly specialised centres. Some forms of EB can be lethal in infancy, and some predispose patients to an aggressive and deadly skin cancer. The life-long presence of blistering, wound infections and semi-chronic wounds results in pain, scarring and immobility. EB is overwhelming and psychologically crushing to live with for both children and their carers. Parents regularly find themselves as their child’s nurse as well as carer, having to go through the difficult routine of changing bandages and dressing wounds while watching their child in pain. Often parents face the very real and unthinkable prospect of never being able to properly cuddle their child, as well as the ultimate fear of any parent: that they will outlive their child. While significant advancements have been made in the development of therapies aimed at correcting the underlying genetic defects seen in EB, with the expectation that a cure for the disease will be developed in the long term, currently there is no cure for the condition. The greatest need of those living with EB, and their carers, is to access better ways to manage the daily consequences of their condition, especially their wounds which are often associated with unbearable itch, pain, and frequently become infected. Current wound care management involves daily or regular dressing changes to protect, encourage healing and prevent infection. Depending on disease severity, dressing changes can take several hours each day and can be extremely painful, often requiring the use of prescription pain medication. With this in mind, we are currently running the largest, open, global trial in EB: the EASE trial, for our lead product AP101, a wound care treatment for EB. We are expecting interim analysis of the data from the trial later this year and then top-line analysis shortly thereafter. Our efforts will not end there: our aim is for approval of AP101 in both Europe and the US in 2019. If living with EB can be an ordeal, accessing AP101 should not be so. We will work to ensure AP101 will be available to children and their parents because we believe it has the potential to significantly improve the quality of their lives.